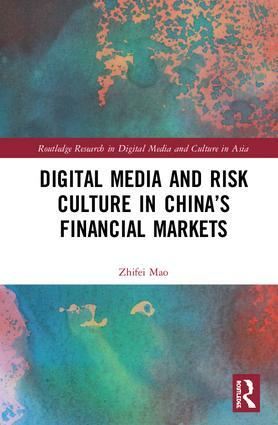 This book analyzes the risk cultures in China that have emerged from the entanglement of new communication technologies and financial markets, examining the role that digital media play in Asian modernity and offering an alternative narrative to that of the West. The book illustrates the impact of exclusively Chinese digital media on power dynamics within risk definition, arguing that information and communication technologies (ICTs) empower individuals, enabling them to compete with an expert-oriented risk culture controlled by Government- and banker-led media outlets. With struggles, competitions, compromises, and confrontations, major communicators in financial world are collectively producing risk cultures based on interpersonal relations instead of contractual obligations, in which insider information is valued over professional analysis. Meanwhile, investors are trapped in a risk culture paradox that they themselves have produced, as they attempt to take advantage of other actors’ uncertainties and eventually produce risks for the entire market. Zhifei Mao is an Assistant Professor in the School of Mass Communication at Shenzhen University, China. She was invited to the research team for the European Research Council project "Methodological Cosmopolitanism – In the Laboratory of Climate Change" led by Professor Ulrich Beck from Ludwig Maximilian University of Munich as a postdoctoral fellow. Later she worked as a postdoctoral fellow in the School of Journalism and Communication, the Chinese University of Hong Kong. Her research interests are in global risk, environmental communication, new media studies, and financial communication.